The Humbug Spires Wilderness Study Area, a 11,175-acre roadless area near Butte, Montana. The 2001 Roadless Area Conservation Rule—that protects wild national forests and grasslands from new road building, logging and development—was the product of the most comprehensive rulemaking process in the nation’s history. Thirteen years after Earthjustice first launched legal action, the nearly 50-million-acre heartland of America’s national forests is secure. On October 21, 2011, a federal appeals court ruled in favor of the Roadless Rule, virtually ending a lengthy battle that pitted loggers, miners and political forces against the vast majority of citizens who rely upon these pristine lands for recreation and repose. This is a major milestone in Earthjustice’s complex legal effort to protect roughly a third of our national forests, and nearly 2 percent of the U.S. land base. These pristine lands are havens for the last survivors of our wild heritage—such as grizzly bears and wolves and wild salmon. The 120-page ruling by the 10th Circuit Court of Appeals overturns a lower court ruling and affirms the validity of the original Roadless Rule, said Earthjustice attorney Jim Angell, who argued the case before the appeals court. “This is a tremendous victory. It is an extraordinarily thorough opinion,” said Angell, one of a team of Earthjustice attorneys who worked to defend the Rule. The appellate court ruled against the state of Wyoming and industry intervenors and in favor of conservation groups, the U.S. Forest Service and the states of California, Oregon and Washington. This decision formally ends an injunction against the Rule’s enforcement imposed by a Wyoming federal district court in 2008. 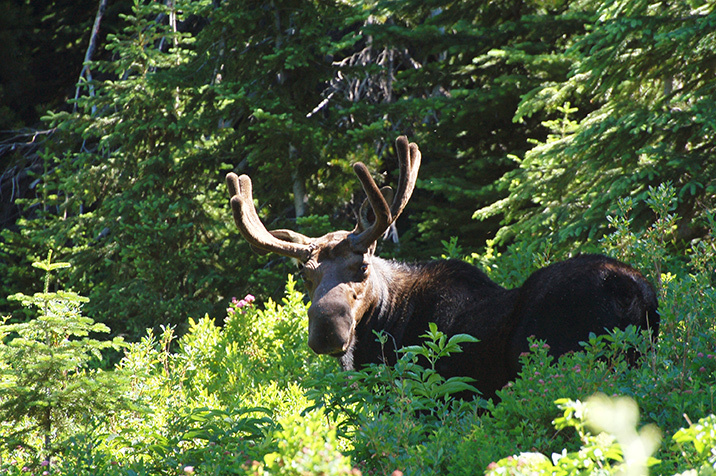 A large bull moose in the Great Burn roadless area in Idaho's Clearwater National Forest. The 2001 Roadless Area Conservation Rule—that protects wild national forests and grasslands from new road building, logging and development—was the product of the most comprehensive rulemaking process in the nation’s history, including more than 2 million comments from members of the public, hundreds of public hearings and open houses, and a detailed environmental review. The Rule came under relentless attack by logging and resource extraction interests, a few conservative state governments and the Bush administration. Yet, despite those powerful foes and in the face of very long odds, Earthjustice and its allies consistently prevailed over the years. “This is really an amazing story with a lot of blood, sweat and tears," said Doug Honnold, then-managing attorney of the Earthjustice Northern Rockies office and another Earthjustice litigator who argued in court for the defense of the Rule. Earthjustice attorneys Kristen Boyles, Tom Waldo, Tim Preso and Todd True all played leading courtroom roles in the series of cases pursued by Earthjustice to defend the Rule. Preso noted that the national forests offer outstanding opportunities for hunting, fishing and hiking. They produce clean water for thousands of communities nationwide, and provide irreplaceable habitat for imperiled wildlife species, including grizzly bears, lynx and Pacific salmon. “All Americans can now know that a key part of our nation’s natural heritage won’t be destroyed,” he said. Now, conservation, faith and recreation groups will urge the Obama administration to support and enforce the 2001 Roadless Rule as the law of the land, including defending its protections for all 58.5 million acres of roadless lands in the country. This includes national forests in Alaska currently subject to a separate legal challenge, and national forests in Idaho, whose roadless area protections were weakened in 2008. In this appeal to the 10th Circuit, Earthjustice represented Wyoming Outdoor Council, The Wilderness Society, Sierra Club, Biodiversity Conservation Alliance, Pacific Rivers Council, Natural Resources Defense Council, National Audubon Society, and Defenders of Wildlife. The states of California, Oregon and Washington also argued in support of the Rule in the appeal. An appeal by the state of Alaska (from a successful Earthjustice lawsuit striking down an exemption from the rule for the Tongass National Forest) is the final legal action to protect roadless areas that remains pending. 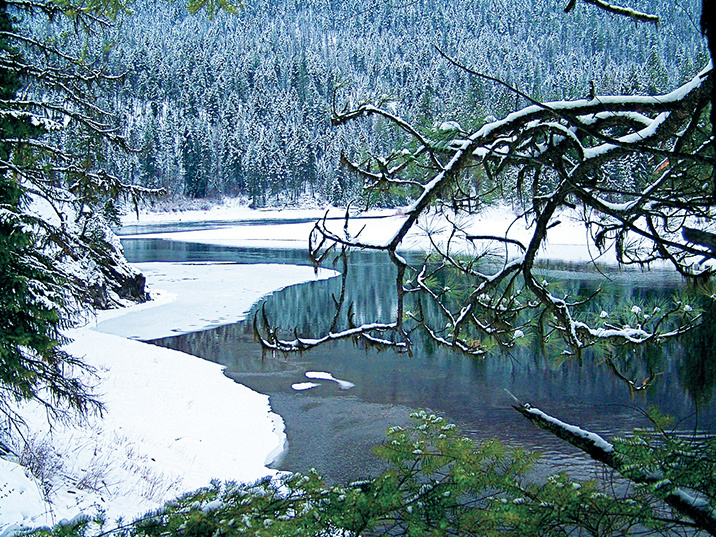 Winter comes to the South Siegel Roadless Area in Montana's Coeur D'Alene Mountains. "We’ve been representing the environmental community in this fight in more than a dozen cases over the last 13 years … We had to win every single one of those cases, and we did. The Roadless Rule is one of the most far-reaching conservation initiatives ever." "The court has firmly, and unanimously, taken the side of you and me and the vast majority of citizens who love our forests just the way they are: thick with trees and wildlife, their waters running free and pure." President, Earthjustice. On the landmark 10th Circuit Court of Appeals decision.